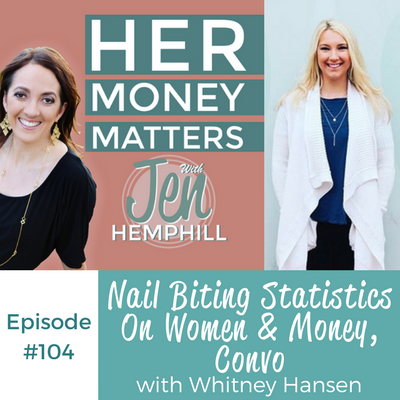 Today we welcome Whitney Hansen to the show. 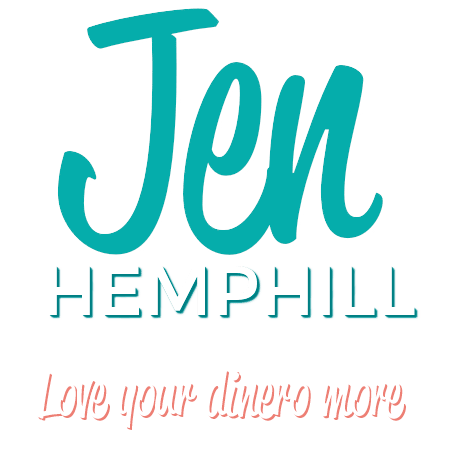 She is a money coach, an IG extraordinaire, an avid traveler, an all around cool, down to earth person and the host of The Money Nerds podcast. 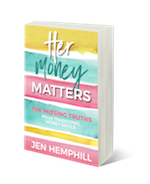 I am so happy to have her back for a second time, and today we are discussing some statistics on women and money and our personal reflections on what that means. Growing up, Whitney saw firsthand what can happen when women fail to get involved in the finances. They get into a relationship and blindly trust their spouse, and very often end up divorced, widowed and alone, with a huge financial burden and no clue on how to go about dealing with it. Affects the quality of life – an emotional killer. Younger women, millennial women in particular are waiting until age 30 on average to get married which means 65% are without a retirement. The average age of widowhood for women is 55 years old. This statistics illustrates the huge importance of women having a retirement fund, and learning how to manage their finances. Women are more likely to become single parents. Once again, the importance of having an excellent handle on finances and a plan for the future is front and center. Whitney saw this firsthand with her mom when she became a single parent to 6 children, with no support from their father. In addition to the emotional challenge of being in this position, adding financial stress to the equation is overloading. Whitney will be hosting The Money Summit in July 2017. She created this summit because she is super passionate about women and money, and wanted to create this community where women can support and learn from each other. While Whitney won’t be speaking herself, she will have 30 speakers in webinar style, who will present tangible and actionable steps that viewers can start implementing immediately. This event will be held on Facebook Live, back to back, along with some replays for 3 days, and an opportunity to purchase all of the content later on. It is free to attend the summit live. The summit runs July 20-22 and attendees will be able to ask questions live. The speaker can then share and respond to those questions with the audience as well. To register, go to Whitney’s website at www.WhitneyHansen.com/moneysummit.